Sunbird was originally created in 1979 as part of the Serenissima Travel Group of London. 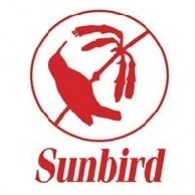 In 1980, Sunbird joined forces with the successful American bird tour operator WINGS, offering a wider choice of tours and with each company taking responsibility for those destinations where it had greater experience. In 1982, Sunbird was purchased from Serenissima by WINGS and David Fisher who established a new company - Conderbury Ltd. (trading as Sunbird). Our Tours: We hope that the day-by-day description on our website gives an accurate impression of how each tour runs but if you have any questions about any aspect of our tours, please call us. Bird List. This is coded to show how many times each species has been seen, as well as giving the species seen on the most recent tour. It also has a brief description of the most recent tour written by the leader. The items which you will be required to pay yourself are your individual requirements for passports, visas, travel insurance, and purchases of a purely personal nature. If you are trying to decide which company to travel with, or you are comparing prices, you should bear the above points in mind. A similar tour with a lower price may mean that the company in question might be cutting corners somewhere (some companies don’t include all meals, for example). Drive onto Tengchong, an area famed for its mild climate, its ancient volcanoes and geothermal springs. Viewing Brown-winged Parrotbill and Slender-billed Oriole before heading east to Nabang, a small town nestled low down right beside the Myanmar border.